Remember When I Used To Want to be an Art Teacher? Way back in early 2008 I was student teaching and I was required to make a professional portfolio. 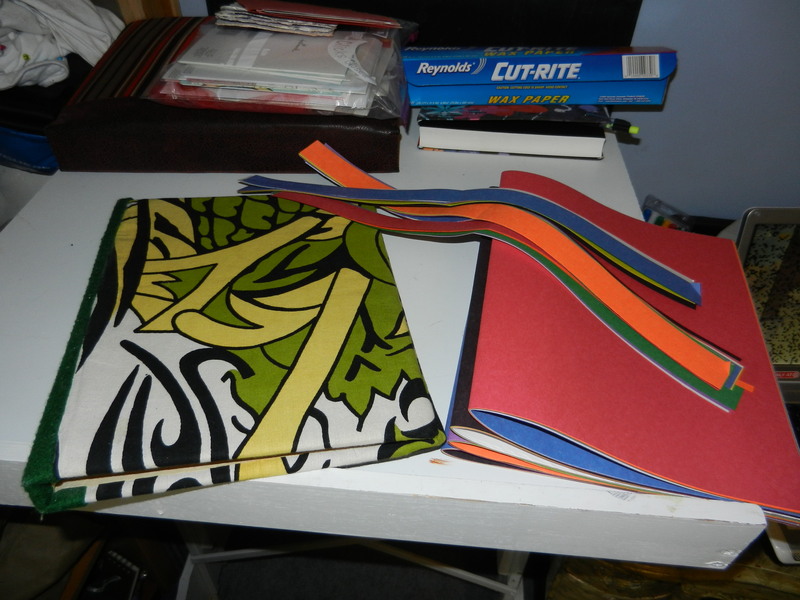 I made a book with lots of colorful paper and used it as a student teaching scrapbook. My professor said it was great, but not as a professional portfolio. Later that year I brought it to my only job interview for a teaching position – and I got the job! I think my amazingly creative and handmade book helped. Anyways, after my two months as a leave replacement teacher I decided I never want to teach again and I should avoid it at all costs. Because of this I am currently quite poor and not too long ago I carefully removed all the pages I had used in this handmade book. There were still many more unused pages and I wanted to re-use the book. Today’s project was to add new pages.